Pitcher Masahiro Tanaka will be one the most coveted free agents this offseason. It’s crossing my mind. And I’ll bet it is crossing the minds of major league executives, too. 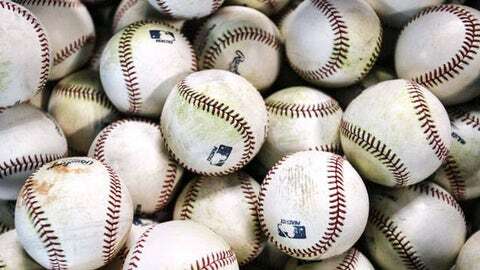 "It is a violation of the agreement for any value other than the posting fee to flow directly or indirectly to the Japanese club," said Rob Manfred, baseball’s chief operating officer. "The agreement is brand new and we want to make sure that people follow the agreement." 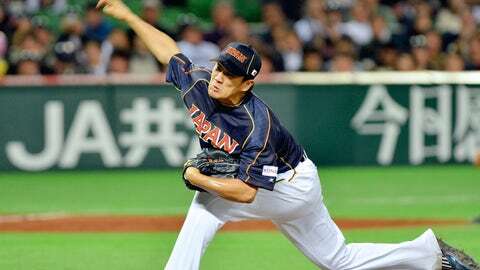 Rakuten initially resisted posting him, and team president Yozo Tachibana pronounced the new system "unfair" at the news conference in which he announced that the team would allow Tanaka to depart for MLB. A major league team, in theory, could have enticed Rakuten to post Tanaka by making an under-the-table payment of say, $20 million, to double the club’s take. Rakuten then could have told Tanaka that it would post him only if he signed with its major league "partner" – otherwise, no deal. Such an agreement, of course, would violate the new rules and prompt a "nuclear" reaction from MLB if discovered, according to a source. The plan also would be difficult to execute – Tanaka’s agent would need to be involved, and the major league club would need to be the high bidder, lest Tanaka arouse suspicions by taking less money. OK, the scenario probably is far-fetched. Still, one major league executive says "back-channeling" is indeed the biggest concern under the new agreement, citing another way in which teams could coerce Japanese clubs to post players. "A club could guarantee to pay $20 million for the next guy – or the next two guys, for that matter," the exec said. Of all the possibilities, perhaps the most realistic is the one that already has been broached – the idea of Tanaka somehow repaying Rakuten by making a donation to the team. MLB, of course, could view the donation as an illegal kickback. Such a plan, one source said, also would be "very inefficient" – Tanaka would be taxed on his major league income in Japan, and Rakuten would be taxed for any revenue he contributed to the club.